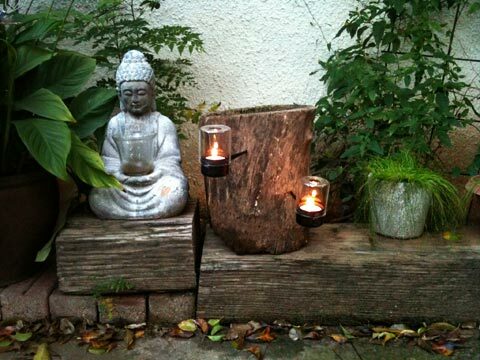 Anyone loving the easiness with which atmosphere is set in our living environments just by lighting up a few candles? Almost certainly there are more than just a few out there… As fall is falling here in Europe the call to redecorate, to refresh and to add some more wintery notes at home is intense. Time for warm drinks in the company of good friends in the evening, dinners around nicely set tables, or perhaps just reading a book wrapped in a blanket. Whichever the case, adding a few flickering lights here and there will make your home’s mood cozier than ever. 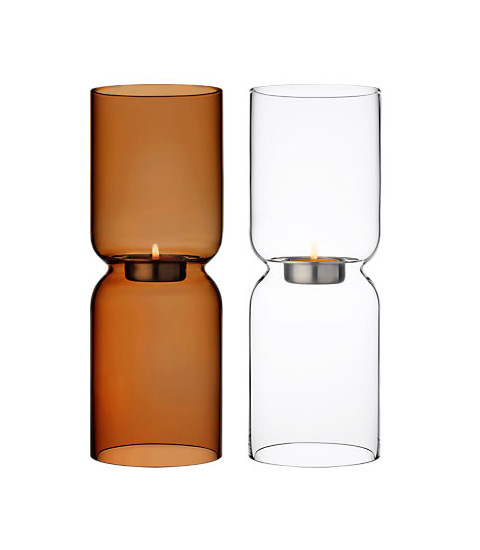 Iitalla’s mouth blown candle holder in white, clear or copper toned glass is a wonderful choice, which comes in two sizes as well. 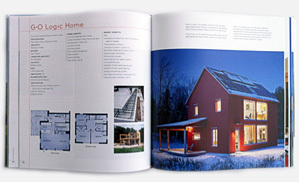 Featuring a simple, cylindrical, symmetrical and definitely classic design, Harri Koskinen gave life to it back in 1999. 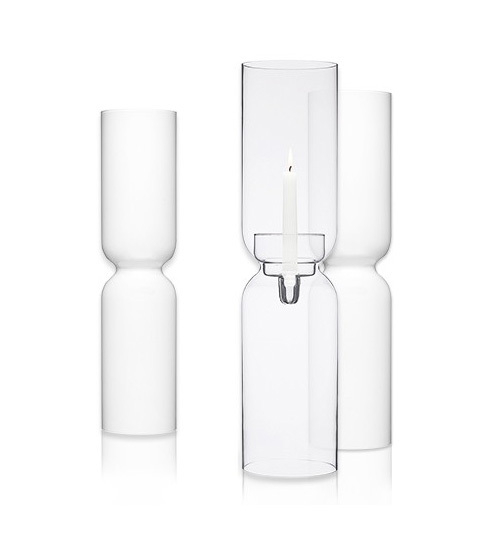 It is made in Finland following the high standards Iittala is well known and famous for. 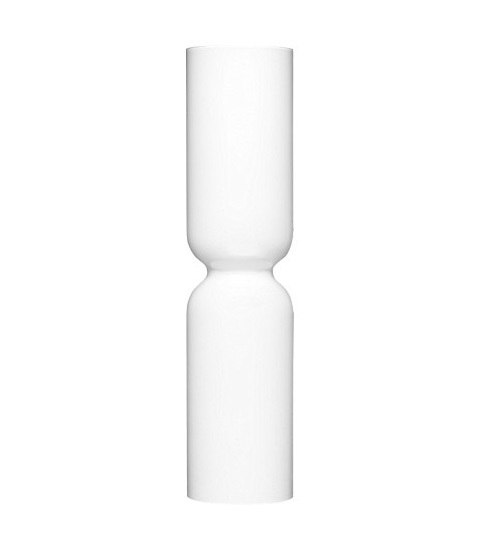 A lower one measuring 25 cm height and a fairly higher one as tall as 60 cm are the two size versions available. The combinations are endless: pair two of the same size in the two different colors or variate their size while keeping the same color. Or create a bolder and more interesting vignette by grouping a few of them together. The tall ones would look very elegant and unexpectedly formal yet simple and cozy while aligned on a long, rectangular dining table, don’t you think?